It's true - you are your best first career success planner. No one can plan your career success for you unless you have some basic answers yourself already. I am not saying you should be certain about what you want but an inkling would be a great start. Most career newbies do not know what they want. That’s fine. Wanting to be a success is a good start. Now you just have to back track your steps a little and ask the right questions that will guide you to the answers you need. Remember, you are your best career success planner. I am a big believer that we all have the answers within ourselves if we only we ask enough. Of course, that is not to say I deny divine help or otherwise. And that’s not to say I do nothing on my own either. I believe that one does what one can until one’s destiny is revealed. 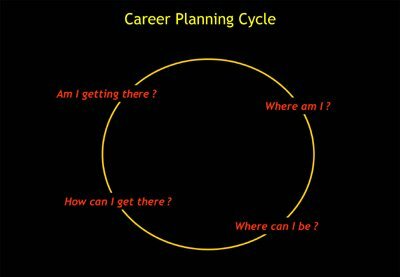 When giving advice to interns in our company on career success planning, I like to adopt a common planning cycle model. As a career success planner, you should ask yourself these 4 questions. These questions may seem simple or trivial but are thought provoking if you give it the seriousness it deserves. 1. Where Am I? Why Am I Here? These are the first set of questions to ask - “Where am I? Why am I here?”. For example, if you currently have a job you do not enjoy, ask yourself how you ended up at that position. Or you may have a job you are happy with right after graduation but would like to move up the corporate ladder. Ask yourself why are you still there? I once counseled an intern who seemed lost. He had a diploma in engineering and worked in the field for a while. He realized is was not what he enjoyed and went back to school to do communications. This time around he seemed uncertain about his future. The reason why I said he ‘seemed lost’ is because he actually wasn’t. All he needed to do was to refocus on his objective. He needed to answer - Why is he in this particular situation? By answering these questions, you take stock of the situation. You give yourself a diagnosis of the situation and condition you are in before you can prescribe a solution for yourself. Sometimes, it even forces you to refocus on your original objective, which you may have forgotten as in the case of the intern. 2. Where Can I Be? To go somewhere, you must have a destination. And as a career success planner it is no different. “Where can I be?” forces you to think about your destination of choice. Is it a promotion to a new position you want? Or is it a transfer to another department? Or would you like to move out of the industry? 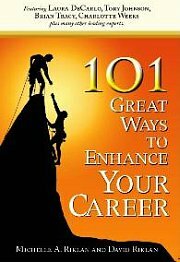 This destination must be clear in your mind as we are now in the prescriptive stage of your career success planning. As a career success planner you should see this clearly. In the case you cannot, make some assumptions and do an experiment with the rest of the planning stage. I find that sometimes playing around with thoughts can help crystallize what you want faster. Consider your skills and knowledge that can bring you there. Think about your values and aspirations also. Another important thing to consider are your attitudes and beliefs. 3. How Can I Get There? At this stage, you need to prepare the skills and knowledge. Think about the training that you need both formal and informal. What about your attitude? For example, do you have a success mind set? Do you have positive attitude towards work? Consider your strengths and weaknesses. Are there any weaknesses you need to strengthen? What are some of the opportunities to excel along the way? 4. Am I Getting There? No career success planner is complete without an evaluative stage. This is the segment where you give yourself periodical evaluation about your plan. Is each of your plans slowly contributing to the bigger goals? If it is not, what is it you need to enhance? Force yourself to ask these simple yet deep questions and you will end up as your own best career success planner.